Located on the scenic banks of the Ayeyarwaddy river, Lawkananda Pagoda is another addition to the already huge list of temples in Bagan, Myanmar. The name literally means the joy of the world and that’s what you’ll expect once you visit this incredible attraction. Built by King Anawrahta, this one also has a replica of Buddha tooth relic. 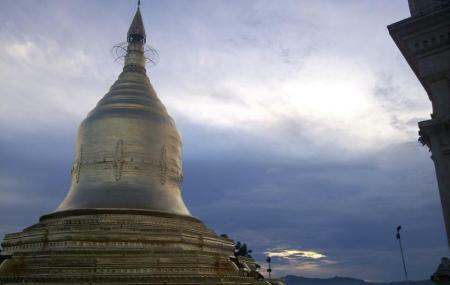 Overall, a great place to enjoy the unexplored or little explored places in Bagan. Some ten years ago, a giant umbrella was hoisted on the top of this one, hence adding to the overall experience. How popular is Lawkananda Pagoda? People normally club together Nanpaya and Minnanthu Village while planning their visit to Lawkananda Pagoda. The biggest pagoda in Sittwe township,Rakhine State.Very fine palace... Surrounded with big tree. Very nice palace to relax under those tree with a book. Very wide and fine palace. peaceful. Now is closed for repair work. Many can peacefully enjoy the taste of relaxation here. Foreigners are not known to be allowed to enter for now. Many (expensive) restaurants and cafe shops nearby. The glorious image if Rakhine State. A Nice place to visit!